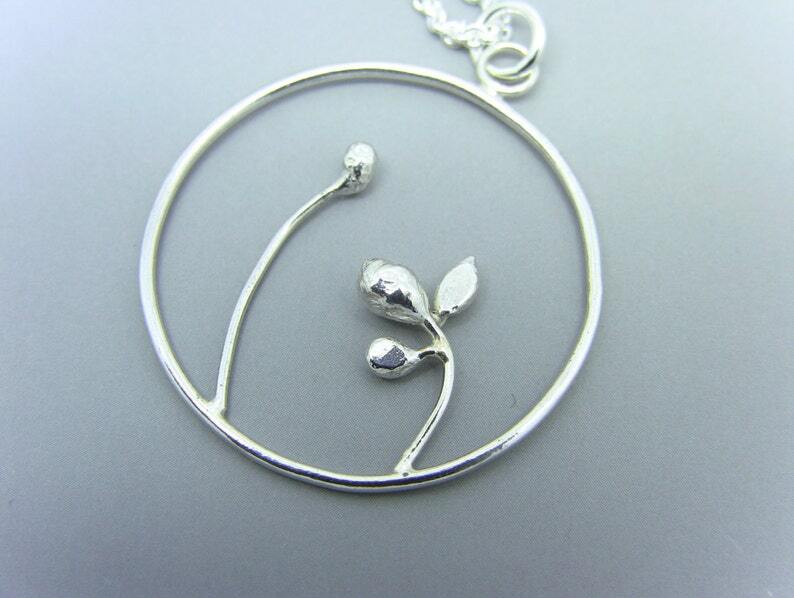 This is a unique and fun circular pendant featuring a a sprout and a bloom. This pendant is made entirely from sterling silver wire, and components. The pendant hangs from an 18" sterling silver cable chain with spring ring clasp. The pendant is approx 1-3/16" in diameter. I used silversmithing techniques of hammering, sawing, filing, and soldering, etc. The pendant has been work-hardened and polished in a tumbler.